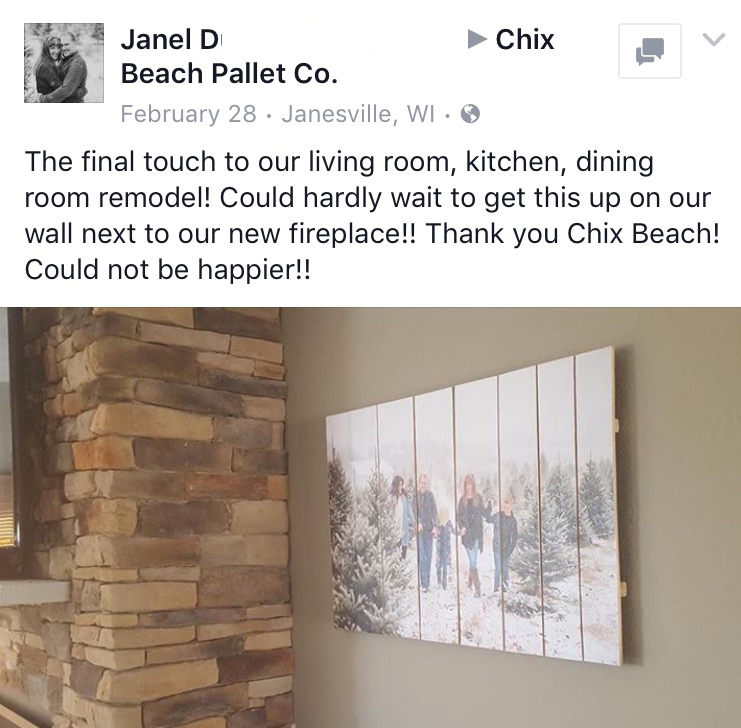 Your Ticket to Peace of Mind this Christmas - Copy – Chix Beach Pallet Co. Tired of Settling for Gift Ideas? The holiday season is about family, friends and gathering. But there have been too many years that you have found yourself anxious and stressed that you didn't know what to get everyone on your list, or that you waited too long to start searching for the perfect gift. But you’re here now! And that means you are just minutes away from Christmas shopping bliss. A Photo on a Pallet?! Imagine a brand new way to showcase your best photos from your Smart Phone or Camera! 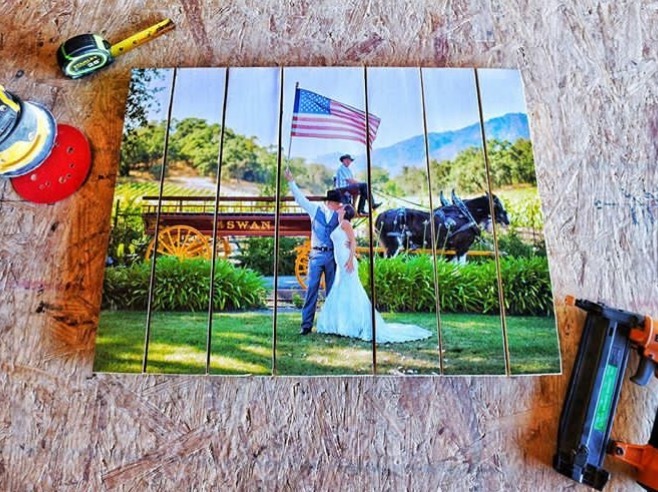 Our Photo Pallets are constructed and hand made from retired shipping pallets and completely custom designed to fit your photo. Each plank is measured and cut precisely to ensure that all the spaces between boards add personality and balance to your special memory. 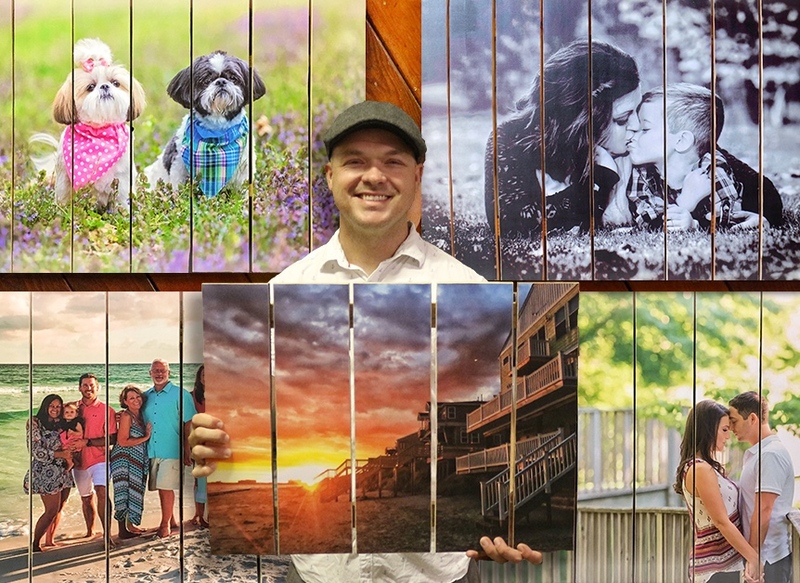 Our high resolution photo paper is sealed to wood with our unique blend of adhesives and sealants to provide vibrant, full color images that won’t peel or fade away. We install a wire hanger snugly on the back so that your Photo Pallet comes ready to hang right out of the box. It’s going to feel so good when you see your family and friends open up their gifts this year. You are going to appreciate that you have broken through the monotony of framed and canvas printed cliches. You will know that this isn’t another photo on a wall, but something that is truly unique. You will be amazed that this new piece of artwork came from recycled materials. We know you will notice that the breaks in the wood highlight the main elements of the image and that the pallet depth adds dimension, as if it's floating on the wall. This year spend more time focusing on the ones you love and leave the work to us. You will have peace of mind knowing that you have selected the most thoughtful gift you will give all year, and that it's backed by our 100% Satisfaction Guarantee. Spots for Guaranteed Christmas Delivery are LIMITED, so click below to Order Today!